I apologize for not posting anything in a long time but that is what happens when you are learning new things on your own. I spent time collecting information not sharing it. 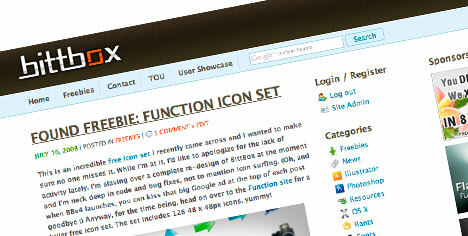 So i’m going to share with you a site that has some great functional downloads. Bittbox is a site dedicated to sharing and finding freebies and content for photoshop and illustrator. I have personally found it to be very helpful with many interesting elements. See what you can grab or if it’s really that great.